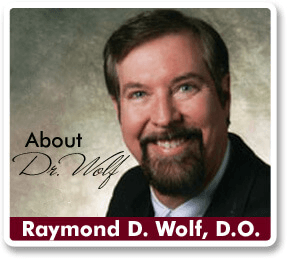 Dr. Raymond Wolf’s anti-aging wrinkle treatments consist of topical medications, injectables and laser treatments. The most effective topical medication for wrinkles is tretinoin, which is commonly known as Retin-A. Dayton men and women seeking improved skin tone, texture and wrinkle resolution find that our specially compounded combination of Retin-A and hyaluronic acid is the perfect antidote to wrinkles. The Retin-A provides improved quality to the dermis to improve fine wrinkles, and the hyaluronic acid provides a cellular moisturizer that improves the overall appearance of the skin. We have two skincare lines, Obagi® and Dermesse, that contain hydroquinone, which helps to even out skin tone. Routine use of Obagi® or Dermesse skincare combined with Retin-A provide excellent results compared with over-the-counter non-prescriptive strength products. Our patients tell us that they typically spend less on the medical care regimen and experience superior results. Injected agents such as BOTOX® Cosmetic are used to relax facial muscles to smooth wrinkles. BOTOX® is most often used in the forehead, frown lines between the brows, and around the eyes in the crow’s feet. It can also be injected in the muscles beneath the eye and in the upper lip, as well as the platysma, the muscle in the neck from the chin to the base of the neck. Some of our Dayton BOTOX® patients use the product to control excess sweating. BOTOX® injections take only a few minutes, but results last approximately 3-4 months. Before it can be used, BOTOX ® must be diluted with sterile saline (salt water). Once it has been diluted, the product has a very short half-life. In some cosmetic surgery practices, diluted BOTOX® is used over the course of a week or longer, during which time the effectiveness of the product decreases dramatically. To avoid this problem, we use all diluted BOTOX ® within 24 hours. We can do this by pre-selling BOTOX ® before we open a new bottle. This benefits our patients by offering them a consistent price of 20 units for $229. Dayton BOTOX ® patients who stay on a regular injection cycle are able to further decrease their cost because the wrinkle reduction activity over time easily lasts 4 months rather than the 3 months typically experienced by those that utilize BOTOX ® intermittently. Injected dermal fillers such as Restylane ®, Juvéderm ® and Radiesse ® provide long lasting results that eliminate the appearance of wrinkles between the nose and the mouth, called the nasolabial folds, as well as the creases between the corners of the mouth to the chin, called the marionette lines. All areas treated with BOTOX® may be similarly treated with injectable fillers and are often done in combination for the most outstanding results. Depending on the filler chosen, results can last six months to a year or even longer. For those desiring a plumper pout, dermal fillers can be injected in the upper and lower lip to provide a result that is soft and natural. When possible, Dr. Wolf uses an injectable Lidocaine to make injection more comfortable, and some of our products contain their own numbing agents. Laser and intense pulsed light (IPL) energies improve the skin’s appearance through a “heat and heal” cycle. The skin is heated by the laser energy and the healing that follows prompts the body to increase production of collagen, a building block of youthful skin. The result is an improvement in wrinkles, sun damage, brown spots and other skin disorders connected to aging. IPL treatments are a particularly good way to improve the quality of skin through multiple, short treatments without downtime, making them perfect as annual maintenance for beautiful skin. CO2 laser resurfacing is the gold standard for wrinkle improvement. The laser is applied to the skin and multiple layers of skin are removed, providing immediate skin tightening, removal of fine and deeper wrinkles, and an improvement of skin texture. The downside is that CO2 laser treatments require a recovery time of approximately one week. Most of our Dayton laser resurfacing patients accept this downtime period because the improvement in their skin is so dramatic, particularly under the eyes or on the upper lip. An alternative to all-over CO2 lasering is to have CO2 performed around the eyes and lips and to have a chemical peel on the rest of the face, neck and décolleté. Chemical peels may be as light as a Jessner peel, which is in entry-level peel that can be performed on a monthly basis. The highest strength peel is a Jessner peel combined with trichloracetic acid 35%. This peel enters the mid-dermal layer and is the deepest peel that can be performed safely. Other peel options are trichloracetic acid (TCA) of 20, 25 and 30%. The higher strength peels of 30 and 35% usually require the addition of medications to provide comfort during the peel.